*Residency fees cover breakfast, lunch, and some activities. **Numbers are based on the 2019-20 academic year tuition and fees and include the fifth residency fee of $775 (the graduation residency fee). For housing options, see below. We provide a comprehensive program of financial assistance. When applicants are admitted to the program and have completed their financial aid forms, the financial aid office reviews each student's financial aid application and determines the level of assistance available. The most common form of assistance available to graduate students is the William D. Ford Federal Direct Loan Program, from which qualifying students may borrow amounts covering the full cost of tuition, fees, and approved housing. The FAFSA form, available at www.fafsa.ed.gov, is the first step in applying for federal aid. The Randolph College federal code number is 003734. To be considered for any grants or scholarships that are provided by the M.F.A. program, students must complete the FAFSA form. Students may qualify to use financial aid to pay for housing organized by the college. Housing organized by the college is optional for the summer residency and required for the off-campus, winter residency. **This number is an estimate of the cost of winter housing. The exact cost will be provided the month following summer residency. Travel to and from Virginia for residency sessions. 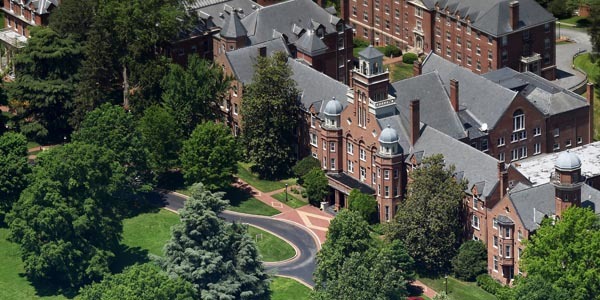 The Randolph College M.F.A. program is committed to supporting our students by developing grants and scholarships. Our awards will be given based on demonstrated need and/or to encourage diversity in our program. At this time, a few small grants are available. To be considered for the available funds, complete your FAFSA form. If you have additional questions, contact Christopher Gaumer, M.F.A. assistant director.